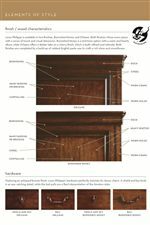 Combining a variety of effects, from a stepped back case front to a box mitering on the drawer fronts for a captured drawer space, this five drawer chest achieves multiple levels of depth. With five solid cedar drawers mounted on bun feet, you will have the luxury of storing clothes in a protective and preserved manner. As a final touch, bail hardware completes the overall timeless look with an antique bronze finish. The The Classic Portfolio - Louis Philippe Five Drawer Chest by Stanley Furniture at Colder's Furniture and Appliance in the Milwaukee, West Allis, Oak Creek, Delafield, Grafton, and Waukesha, WI area. Product availability may vary. Contact us for the most current availability on this product. 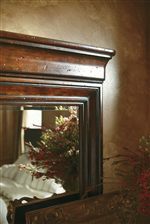 Finish This collection features a custom 30-step child-safe finish process utilizing lead- and formaldehyde-free coatings. The finish should feel smooth and free of any rough spots. Storage One drawer under top molding; five cedar drawers. 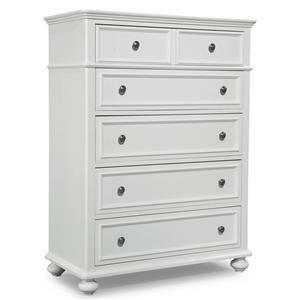 Drawer / Shelf Construction Drawers are constructed with interlocking dovetail joints (front and back) for max strength. Selected hardwood drawer sides, backs, bottoms. 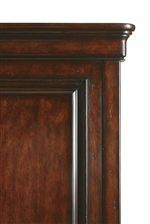 Durable dust panels between drawers and drawer bottoms held rigidly in grooves. Drawer interiors sanded & sealed. Case Construction Mortise and tenon joint construction. Durable dust panels between drawers provide extra structure and seal each unit. Back panels/Case backs are recessed into ends. They fit well and are smoothly finished. 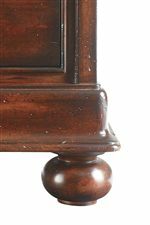 The The Classic Portfolio - Louis Philippe collection is a great option if you are looking for Traditional furniture in the Milwaukee, West Allis, Oak Creek, Delafield, Grafton, and Waukesha, WI area. Browse other items in the The Classic Portfolio - Louis Philippe collection from Colder's Furniture and Appliance in the Milwaukee, West Allis, Oak Creek, Delafield, Grafton, and Waukesha, WI area.